During the 1950 and ‘60s the space race was in full swing. The astronauts who took those huge leaps for mankind became celebrities around the world. 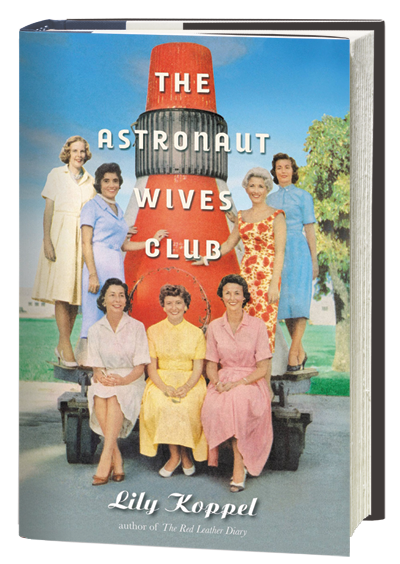 This book is the true story of the women who stood behind the men on the Mercury, Gemini, and Apollo missions. Those alive during those decades might remember some of the names mentioned in the book. I had no idea that the women were under such public scrutiny. Their photos were in Life magazine along with personal tidbits about every aspect of their lives. Like politicians and movie stars, their lives became public domain as Americans clamored for more information about the men behind the space suits. Life magazine even had reporters in their homes while their husbands’ lives hung in the balance on various flights. Koppel gives the dirty details about the clothes, the fights, and the quirks of the women, but there was certainly a darker side to the story as well. 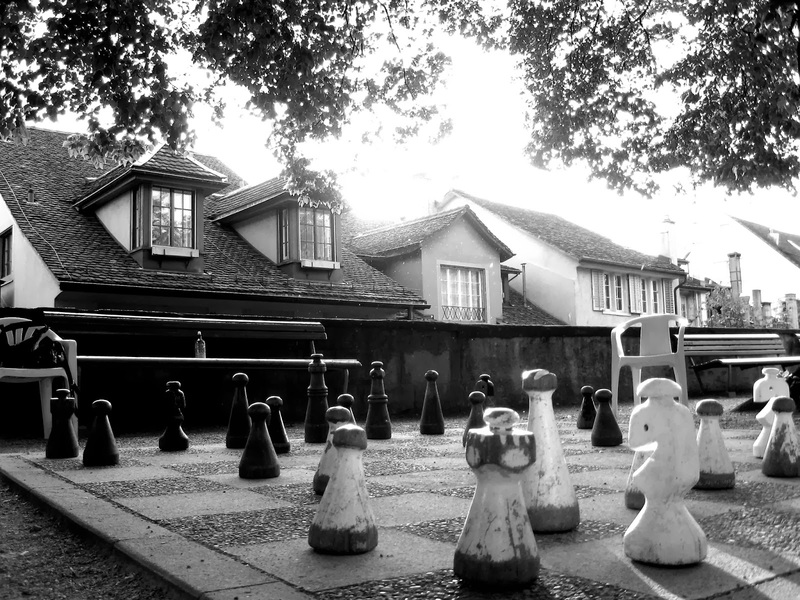 Many of the men were cheating on their wives and multiple marriages ended in divorce. Others ended when something went wrong on a mission and men were lost. The public grieving that followed was painful to read about. It’s funny, when thinking about astronauts and their incredible courage and accomplishments; I don’t think I’ve ever reflected on the women who stood behind them. How terrifying that must have been to watch your husband be shot off into space in a rocket! BOTTOM LINE: I really enjoyed learning more about the women behind those famous men. My one complaint is that they tended to all blend together for me. The author jumps between groups of women and it was hard to distinguish one from another. This collection of essays from one of my favorite authors covers a wide variety of topics, everything from working at TGIFridays to dogs. The way Patchett writes makes any topic interesting. She is truthful and blunt at times, even when discussing sensitive subjects like grief, censorship, and divorce, but it’s this honesty that makes it easy for a reader to feel connected. Her passion for different things come through in her writing and you find yourself getting sucked into stories about seeing MET opera productions in her local theatre, taking a book tour or staying in a hotel and doing nothing. Most of these articles were published in various magazines (Atlantic Monthly, Wall Street Journal, etc.) over the years, but all of them were new to me. She also included a few new pieces to round out the book. She spent years making ends meet with her freelance work for magazine and that experience is evident in the structure of the essays. 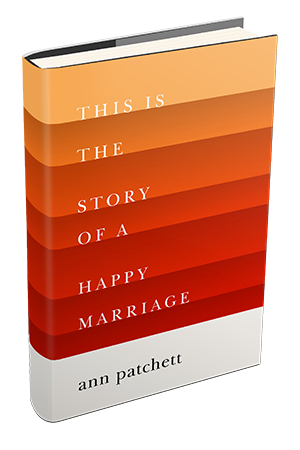 They flow smoothly, each one a self-contained piece that stands on its own, but also adds to the neat arch through her life that the book traces. One of my favorites was a piece on her bookstore Parnassus in Nashville. I had the opportunity to visit it last year and I loved hearing more about the history of its creation. I also loved her pieces about her dog Rose. As a dog lover it’s easy to immediately relate to those. BOTTOM LINE: Each essay offered the reader another glimpse into the writer’s world. I don’t know if I would have loved it so much if I wasn’t already a huge fan, but I am, so this was a treat all the way through. “Sometimes love does not have the most honorable beginnings, and the endings, the endings will break you in half. It’s everything in between we live for." “I think the best vacation is the one that relieves me of my own life for a while and then makes me long for it again." I first read Neverwhere in 2007 and had so much fun following Richard Mayhew and Door on their adventures in the London Below. 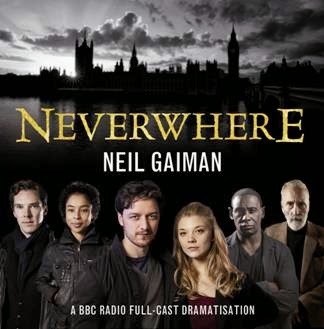 When I heard about the 2013 Radio dramatization of the novel on the BBC I was so excited. The incredible cast included James McAvoy, Christopher Lee, Benedict Cumberbatch, and Natalie Dormer just to name a few. They brought the story to life in such a wonderful way, I think I enjoyed it even more this time around. The plot revolves around an ordinary man in London. He has a regular job, a regular girl and nothing too exciting ever happens to him. Then one day he meets a girl named Door and everything is turned upside down. He finds himself in London Below, along with hundreds of others who have "fallen through the cracks." As he explores the strange world of Angels, markets and guardians he finds that he might just have a taste for adventure after all. Gaiman’s talent for writing is undeniable, but this story is a great demonstration of his ability to create quirky, memorable casts of characters. Hunter, Old Bailey, the Marquis, Mr. Croup and Mr. Vandemar, such a weird and wonderful group that I’m not going to forget anytime soon. The story isn’t as complex as some of his later work, but it is a fun, fast-moving story. 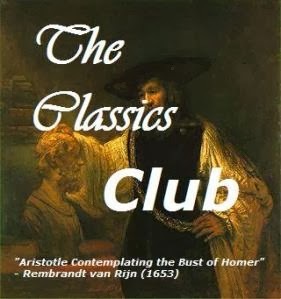 This famous piece of literature introduces readers to the Socratic method. Socrates was a famous Greek philosopher and his student Plato wrote about his method of teaching. Instead of informing or explaining things, Socrates would ask questions and open a dialogue with his students. He shared his philosophical view by asking questions and making his students reach the conclusions on their own. 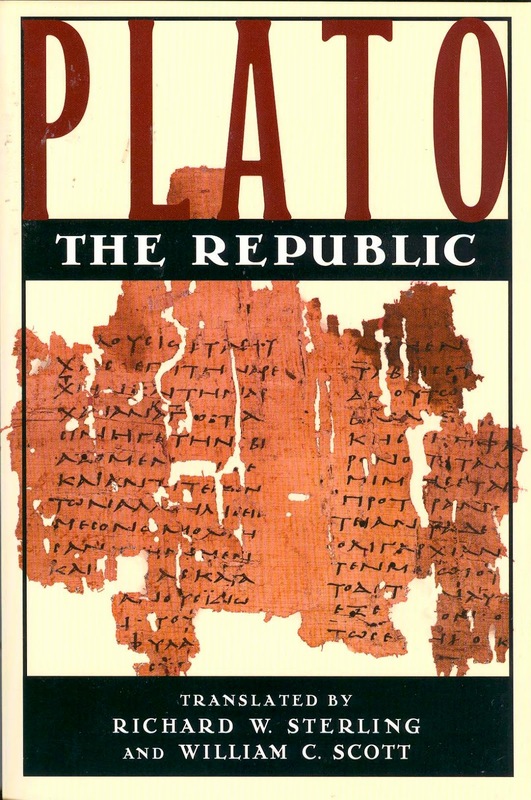 His political theories and observations are still relevant, though the book was written in 300 BC. In The Republic Socrates discusses the way to create a perfect society. They work their way through the different rules and regulations that society would need. They decide what their education would focus on and whether there would be equality between the sexes, etc. As they talk through all of the details of their society they come to the inevitable conclusion that it can never exist. Mankind is too flawed and even with the best of intentions, political leaders are corrupted by power. The other major issue up for debate is justice. Each man comes to the table with a slightly different view of how to define justice. Is justice helping your friends? Is it unjust to injure your enemies? These questions make the Athenians go round and round as they each add their opinions to the mix. This book also includes the famous allegory of the cave, which is discussed in every Philosophy 101 class. BOTTOM LINE: The arguments aren’t flawless, but it’s the style of arguing that makes this such a compelling read. I enjoyed every second of it and would highly recommend finding an audio version if you can. I feel like a broken record when it comes to short stories, but every time I seem to have the same reaction. 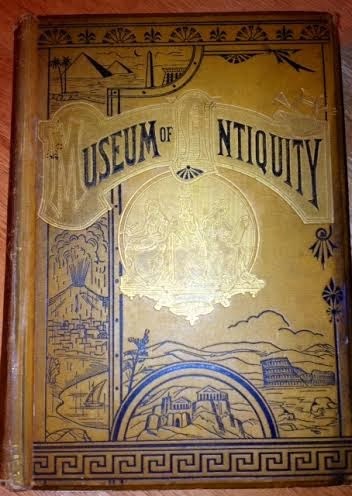 It’s incredibly rare to find one where every story in the collection is a gem and this is no exception to that rule. There are some great pieces including “The Lie” about a young boy’s application to the prep school. “Unready to Wear” is another fascinating one, telling the story of a world where some people have figured out how to leave their bodies behind and exist without them. They put on new bodies like a suit of clothes. But for every good one there is a weaker one and the collection of 25 stories is a mixed bag. “Who Am I This Time?” is my favorite of the bunch. Harry is a quiet man who works at a local hardware store. Once a year he comes to life in a local theatre production. He throws himself into every new role with wild abandon, but the moment the curtain falls on the final night he return to his chronically shy personality. Helen is new to town and finds herself cast opposite Harry in “A Streetcar Named Desire.” She falls in love, but she’s fallen in love with the character Harry is playing, not Harry himself. The main stories that I think will stay with me are not Vonnegut’s usual fare. For a man so well-known for his sarcasm the book contains some surprisingly sweet pieces. His cynical wit seeps in, but it's tempered with a warm nostalgia. Many of the stories were written while he was a young author trying to make ends meet. His talent is there but he was writing for a wider audience. A great example of this is one Vonnegut originally titles "Hell to Get Along With," when it was printed in the Ladies Home Journal (yes a Vonnegut article!) it was renamed, "Long Walk to Forever." Another great one is "Adam," which introduces readers to two Holocaust survivors marveling at the miracle of childbirth. BOTTOM LINE: Some of these stories, particularly the ones I mentioned, are absolute 5 star pieces for me, but overall the book is hit or miss. 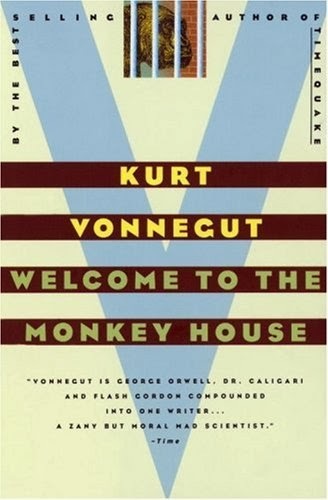 I would highly recommend it to anyone who wants to try Vonnegut to see if they might like his style. p.s. 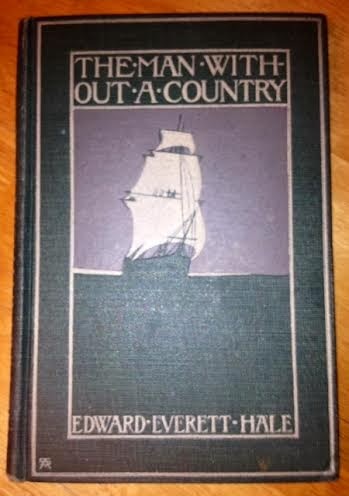 Last month I got to see a play based on three of the stories from this collection. It was called "Who am I This Time?" and it was excellent! There are some serious perks to people knowing you love books. Recently one of the Huz' best friends helped someone move. 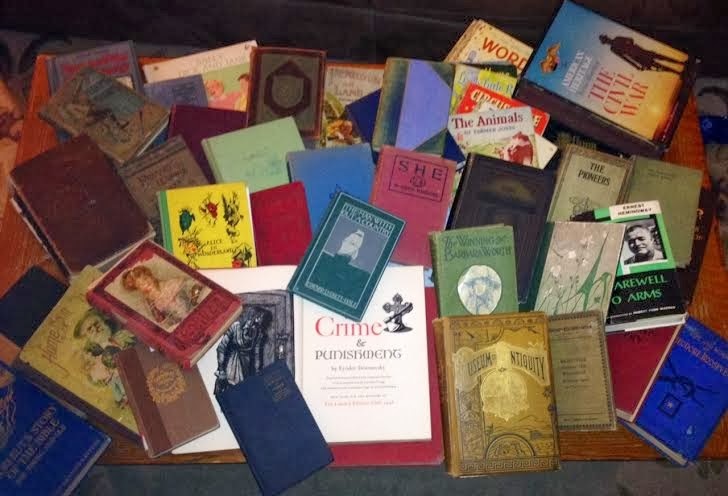 They had boxes and boxes of "old books" that they were gong to throw away. Seriously, they were going to put them in a dumpster! The guy said our friend could have them if he knew anyone who liked books. Lucky me! Our friend immediately called the Huz to see if I might be interested. Needless to say I was grinning like a fool when they brought the books over. There were about a dozen boxes and about half were cheap paperback Grisham and King novels and things like that. The Huz and I carefully went through each box together. Every few minutes I would squeal as I pulled out a 1917 edition of The Merchant of Venice or the 1857 edition of the Bible. The photos are just a few of the beautiful covers I took pictures of for my LibraryThing cataloging. 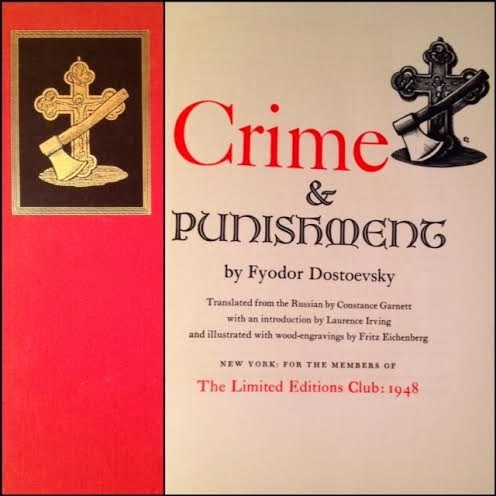 The Crime and Punishment book is actually a 1940s two volume set with wood carving illustrations by Fritz Eichenberg. It matched the editions I already owned of Wuthering Heights and Jane Eyre! 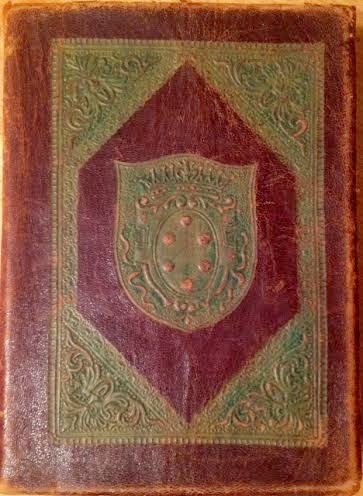 The cover next to it (above) is called World's Great Detective Stories and it's a 1800s edition with a soft leather cover and stories by Tolstoy, Poe, Doyle, Dickens and more. I am going to donate about 80% of the books, but at least they will be going to someone who might read them instead of into the trash! The remaining 20% are all gems that are staying with me. I just had to share because I knew all you fellow book lovers would be just as excited about this! Like everyone else, I first heard about this book after marathon watching the Netflix TV series of the same name. The show is great, but the book is actually an excellent nonfiction memoir in its own right. Piper is relatable enough that it’s easy to picture yourself in her situation. The book could easily have been subtitled: First World Problems. The picture of prison that Piper paints is an interesting one, but it’s not very scary. 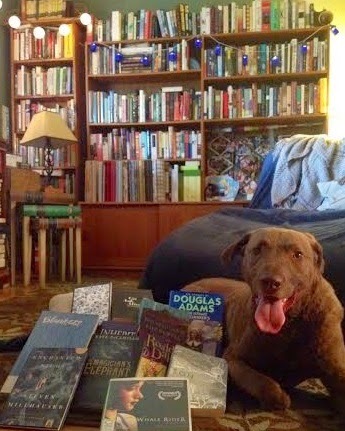 She gets pedicures and has time catch up on reading classics. One of her biggest problems is that the prison store is out of the radios that you need to listen to the audio on the movies they show, so she's stuck watching the movies with no sound. She touches on more serious issues like sexual harassment from guards, lack of preparation for prisoners re-entering the work force, prisoner health problems, minority persecution, etc. but she never really has to deal with any of those things. They feel like distant possibilities, not real issues people are facing. To be fair, Piper acknowledges the fact that she is very lucky to not have to deal with those problems. That being said, it was a really fun read. I knew the basic premise before I started it because of the TV series. If you are already a fan of the show I would encourage you to check this out. I was actually expecting there to be many more differences, but the show is just a sensationalized version of the book. There are added bits of drama in each episode, but much of the plot is based on her real experiences. BOTTOM LINE: Read it if you love the show or are a fan of nonfiction. 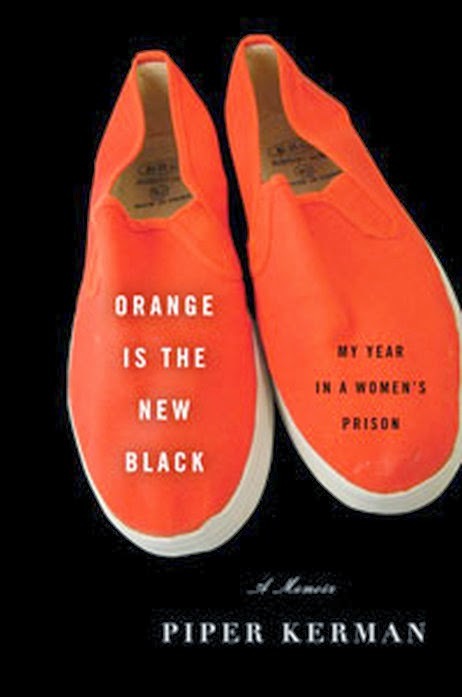 Don’t expect a revealing look at the American prison system. 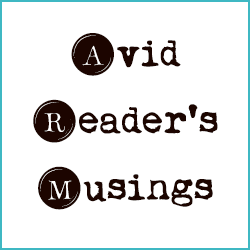 This week's Top Ten from The Broke and the Bookish asks for the Top Ten Bookish Things (That Aren't Books) That I'd Like To Own. I could list 100 things. Every time someone asks for something specific I'd like for a birthday or Christmas it is inevitably something bookish. 1) A bookish flask - Seriously, typewriters on flasks, you just can't beat that! 2) A Spineless Classics print - There are so many great ones (Hamlet, The Hobbit, etc.) but I always thought one of the children's prints (The Secret Garden or Wizard of Oz) would look incredible in a nursery. Not that I will be adding a bursary to my house right now! 3) An old vintage typewriter - I've always wanted one, but there's not really a good spot in my house to put it. 5) A Persuasion Scarf - It's so beautiful, there are no words. 10) This lovely HP pillow quote. At the turn of the 19th century the world was changing incredibly fast. From electricity to automobiles, people could either embrace the changes or get left behind. This Pulitzer-Prize winner’s title describes a wealthy Midwestern family as “magnificent” and then proceeds to chronicle their downfall during this tumultuous time. 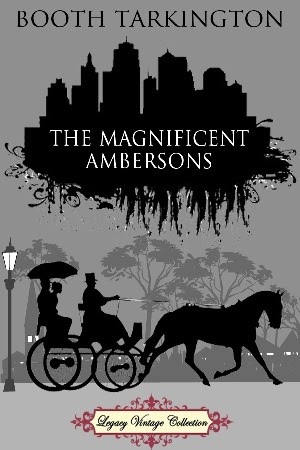 The Ambersons’ fortune, managed by their patriarch Major Amberson, had always been there for the younger generations and they never doubted it would always been there in the future. The Major’s daughter, Isabel, married and had one son, George Amberson Minofaur. George grew up to be a self-centered young man who becomes infatuated with Lucy Morgan. 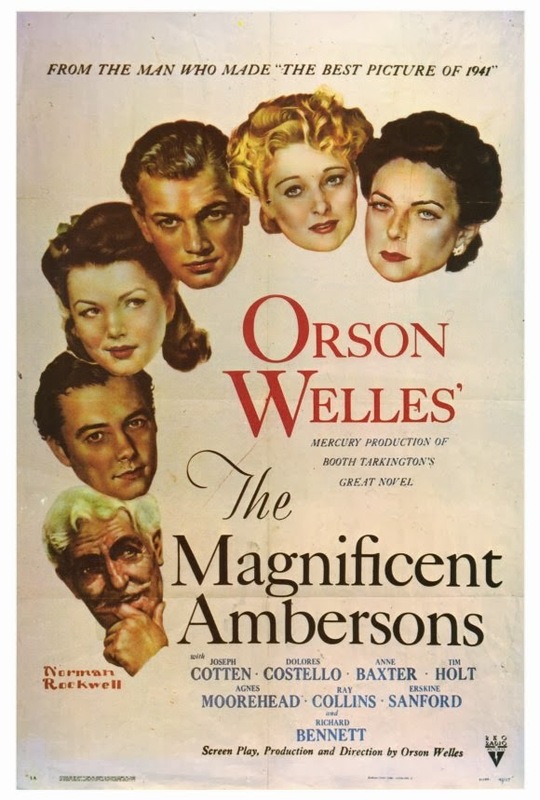 Lucy and her father Eugene Morgan have known the Ambersons their whole lives. Eugene and Isabel have always been close, though their attraction was limited to friendship after Isabel married. Years later when Isabel is widowed Eugene renews his interest to the chagrin of George. His pompous self-worth won’t even allow him to consider the match as anything less than vulgar. I know that Isabel is the most sympathetic character, but part of me was frustrated by her actions. She allows her son to bully her into a miserable life. The fact that George is completely spoiled and expects the world to be handed to him on a silver platter has to be, at least in part, attributed to how his parents raised him. Isabel turns a blind eye to George’s cruel snobbery and there are never any consequences to his actions. The ending feels like a really strange add on. It should have ended with George’s accident. I don’t understand what adding a trip to a psychic added to the story except to tidy everything up in an awkward way. BOTTOM LINE: I was actually expecting to like this one less than I did. It’s not about lovable characters or romance overcoming all obstacles. It’s a story about the world changing whether you want it to or not. It’s about people making selfish decisions and the way that others are affected by those shortsighted views. It’s about hubris and jealousy, selflessness and devotion. To me those counterpoints made for a fascinating look at this time period. The Movie: There is a 1942 film version that I watched after finishing the novel. It was written and directed by Orson Wells the year after he completed Citizen Kane. It stars Drew Barrymore's grandmother as Isabel Amberson. I was surprised that it clocked in at a measly 88 minutes. I checked online and it turns out 50 minutes had been cut from the final version of the movie and a happy ending was reshot and tacked onto the end without Wells' knowledge. Wells once said that if his original version had been released he thought it would have been a greater movie then Citizen Kane. Unfortunately the 50 minutes of cut footage were destroyed, so we'll never know. SIDE NOTE: Tarkington is one of the only major authors from Indiana (Lew Wallace, Kurt Vonnegut, and John Green round out the short list). There is a local theatre named after him and I’m glad I finally read one of his books! 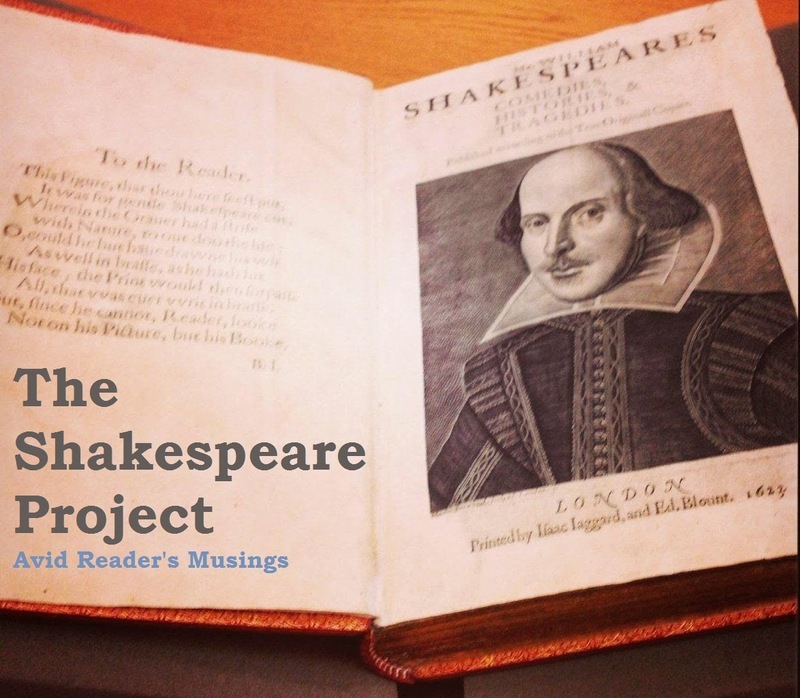 *This review was originally posted at The Project Gutenberg Project where I'm now a contributor! In January I started a new job and though I'm loving it, the hours and the commute are a bit longer. Consequently I'm not always in the mood to cook by the time I get home. After a couple weeks of getting home and just wanting to make frozen pizza or go out to dinner, I realized I needed to find another solution to eat a little healthier. I'm not a huge cookbook person and tend to just get the recipes I want online, but I'd had my eye on the 365 Slow Cooker Suppers cookbook for a while. I got a copy with the hope that I could combine the ingredients in the crock pot the night before (after I have time to relax after work) then in the mornings I would just need to start the slow cooker and it would be ready when I got home. Every single recipe in the cookbook is made in a slow cooker and they don't require a ton of prep work, which I love. There's a great variety in the recipes offered, everything from Miso salmon to chicken piccata. So far I love it and it's a big improvement as far as saving my sanity after work. The cookbook starts with a huge list of ingredients that you might want to keep on hand, which is so incredibly helpful. It's also splits the recipes into your basic poultry, beef, veggie sections, so it's easy to navigate. One aspect I love is the author's notes on each recipe. She adds a few comments on each ones about her personal experience with it. I read through the whole thing, bookmarking recipes I wanted to try, then I went through my pantry to check for ingredients and made a big grocery list of what I needed. I've already made half a dozen recipes from the book and have a few more I'm trying soon. The split pea and ham soup is the runaway favorite so far. It's creamy and so good! We sprinkled some grated parmesan on top and it warms up really well the next day too. The honey lime chicken tacos had a great flavor and everyone liked them a lot. We used lots of cilantro and Nonfat Greek yogurt as toppings and we'll definitely be making those again! The honey Dijon beef stew wasn't as great. It turned out pretty well, but the red wine flavor was a little overwhelming and I have another beef stew recipe we like more. The only bomb was the carrot and coconut bisque. It had the consistency of baby food with a weird spicy/sweet after taste. Honestly we are not picky eaters, but this one was awful. We ended up dumping it and making frozen pizza. You win some, you lose some. Overall I'm really pleased with the cookbook and I am planning on making a couple of the recipes each week. We always end up with leftovers and that makes packing lunches easier too! I also recently used my crock pot to make mac and cheese. I had never tried the crock pot liners before (the plastic sleeve you can put the crock pot in to make clean up easy) but it worked so well! I used the Reynolds brand. I won't use them all the time, but if I have a bunch of people over it would be perfect! That way you aren't scrubbing out a crock pot while you're guest are hanging out in the other room. Anyway, a few people on Instagram asked for the mac and cheese recipe, so here it is courtesy of the Huz' cousin. p.s. 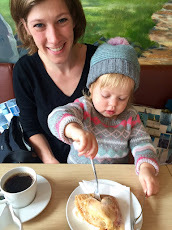 I posted this as part of Beth Fish Reads Weekend Cooking! p.p.s. I was not given the cookbook to review and I get nothing if you get a copy. I just wanted to share my thoughts on it. Emily Byrd Starr is a dreamer. Even at a young age she writes poems and wanders through nature. When she is orphaned by the death of her father her mother’s estranged relatives descend upon her home and draw lots to decide who will care for her. This novel obviously shares a lot of ground with its predecessor, Anne of Green Gables. The author’s two heroines share similar temperaments and interests. There are also a lot of characters that feel very familiar. 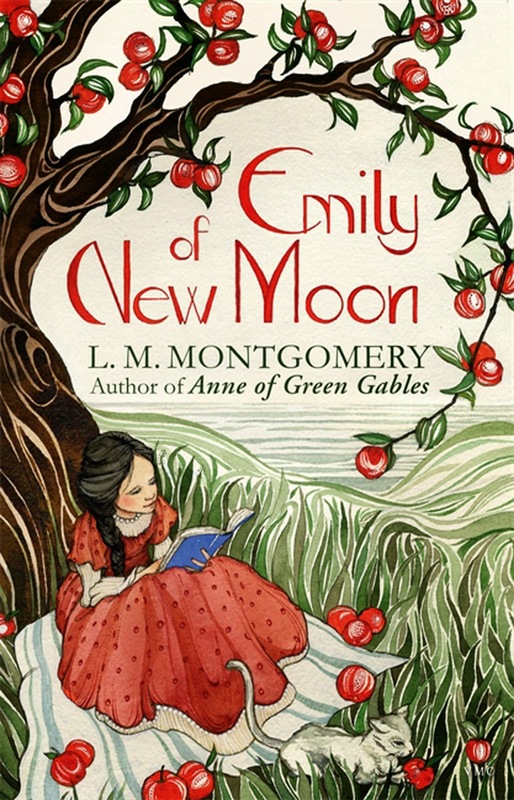 Emily’s Aunt Elizabeth Murray is reminiscent of Marilla, while her Aunt Laura takes Matthew’s role of a softer guardian. That being said, Emily is a great character on her own and I think my appreciation for her will develop even more with the other books in the series. She has a wonderful imagination, but she can be stoic around strangers. She’s strong-willed and stands up for herself when she feels she has to. She’d immensely loyal and trusting. We also get the chance to see her with her beloved father before he dies, something we never had with Anne. 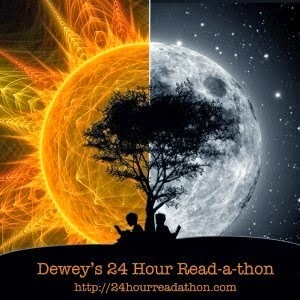 The story follows Emily as she moves to New Moon and settles into a new life there. She has a deep love of cats and doesn’t make friends easily at first. I loved her best friend Ilse. She is a little unapologetic spitfire. Her close friends also include her cousin Jimmy with his penchant for poetry, the hired boy Perry and her classmate Teddy. BOTTOM LINE: If you read and loved Anne of Green Gables then you can’t miss this one. Montgomery writes wonderful characters and I can’t wait to read the rest of the trilogy. 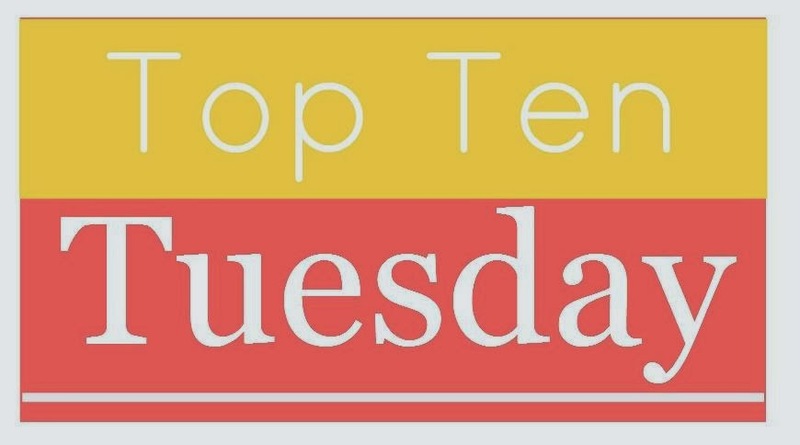 This week's Top Ten from The Broke and the Bookish asks for the Top Ten Most Unique Books I've Read. 1) The Diving Bell and the Butterfly – A nonfiction memoir painstakingly written by a man who is paralyzed in a car wreck. He blinked out every letter he wanted written. 2) Room – The horrific nature of this novel is tempered by the way it is told. A kidnap victim has a child while captive and the reader sees the story unfold through the innocent eyes of a 5-year-old. 3) Ella Minnow Pea – This clever epistolary novel uses fewer and fewer letters throughout the book as certain pieces of the alphabet are banned. 4) The Arrival – A graphic novel that manages to convey a gripping emotional story of immigration without using a single word. 5) Anything by Jasper Fforde – From his literary detective in the Thursday Next series to the world of hierarchical colors in Shades of Grey, Fforde creates the most fantastic societies. 6) We Need to Talk about Kevin – A book about a killing at a school that makes the reader question nature vs. nurture. This one is unique because at the end you’re still not sure whose side you’re on. 7) The Curious Incident of the Dog in the Night-Time – Our narrator has some form of autism, probably Asperger’s, which gives him a very distinct view of the world. 8) The Sparrow – Is it a novel about space travel, religion, xenophobia, culture divides? It’s all of the above and I’ve never read anything else like it. 9) A Clockwork Orange – The characters speak in a slang language of their own devising. 10) The Book Thief – The book is narrated by Death, enough said. 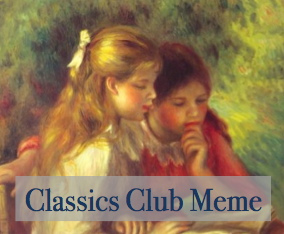 Contemplate your favorite classic to date. When was this book written? Why would you say it has been preserved by the ages? Do you think it will still be respected/treasured 100 years from now? If it had been written in our own era, would it be as well received? It’s almost impossible to pick a “favorite” classic, so I’m just going to pick one of many. Persuasion by Jane Austen was published in 1818. I think Austen’s fame from her other works (especially Pride and Prejudice) has preserved her less popular works, including Persuasion. I hope that her work will still be popular in 100 years, because the themes she deals with are timeless. I think that if it was written today a lot of people would dismiss it as “chick lit.” It deals with a woman and a romance and some publisher would probably slap and stupid pink cover on it with flowers or something. But there’s so much more to the story! Anne Elliot caves to family pressure and refuses to marry the man she’s in love with. Eight years go by and her path crosses with her old flame once again. There is obviously a beautifully slow-burning romance in the book, but for me Anne’s story is much more important. Throughout the plot she learns how to stand up for herself and form her own opinions. She refuses to be cowed into cancelling a meeting with a close friend that her family sees as “beneath her.” She doesn’t fall for the shallow Mr. Elliot’s attempts to woo her. She is loyal and kind and incredibly observant. In one scene she discusses the depth of feelings that women have vs. men with Captain James Benwick, a man grieving the death of the woman he loves. That scene shows us more about Anne’s true feelings than any other in the book. 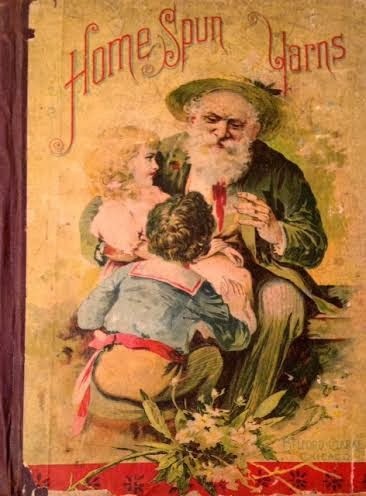 I think that Anne’s age should also be considered when thinking about when it was written. 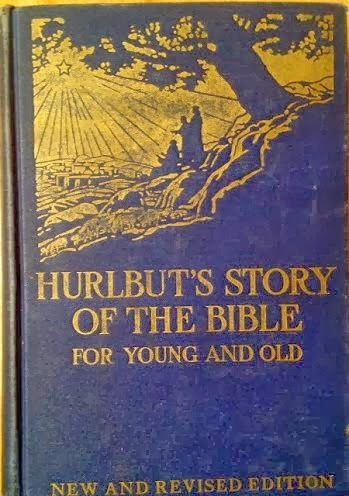 In the book she is 27, which was considered old for an unmarried woman at the time. She knows that the odds she will ever marry are very limited, which means she is dependent on her relatives and so the fact that she stands up against them is even more impressive. She had very few options at that point and yet she stood up for herself.